On Monday on my way back from the National Archives, I popped into the Carmelite church on Whitefriar Street Church, in Dublin city. 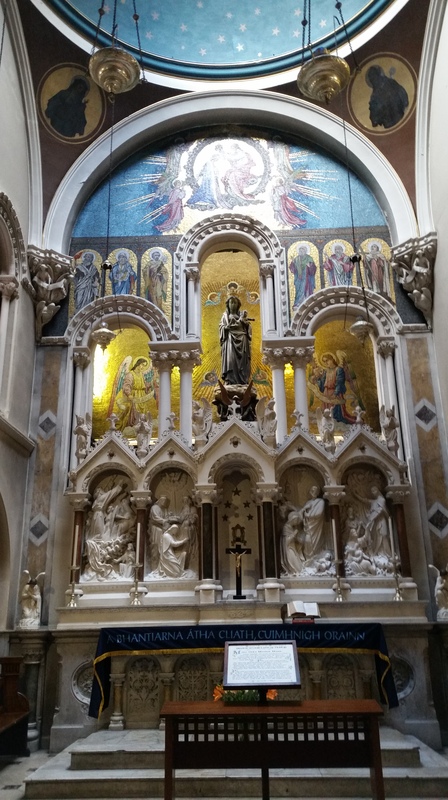 Within the church is the Shrine of Our Lady of Dublin. The shrine contains a very fine medieval statue of the Blessed Virgin and Christ Child. I had to use my phone to take the photos but below is they are a little blurry but I hope they give you a sense of the statue and inspire you to pay a visit. The statue of 15th century date originally belonged to the Cistercian abbey of St. Mary’s located on the north bank of the Liffey in Dublin. The statue is life-sized and carved of oak. It was originally brightly painted and traces of gold and bright blue polychrome were found in its crevices until the early part of the last century. It was whitewashed over at a later date. During the Reformation, St. Mary’s was dissolved in 1539 and stripped of all its valuables and treasure. The statue survived but it was said that it was used as a pig trough in the yard of an inn beside the monastery. The statue was laid face down, and hollowed out back a common feature of medieval stature faced upward and formed the make shift trough. The statue was later mentioned in an account of the Catholic chapels of Dublin written in 1749 suggesting it was rescued from the yard and its new domestic role in the years that followed. 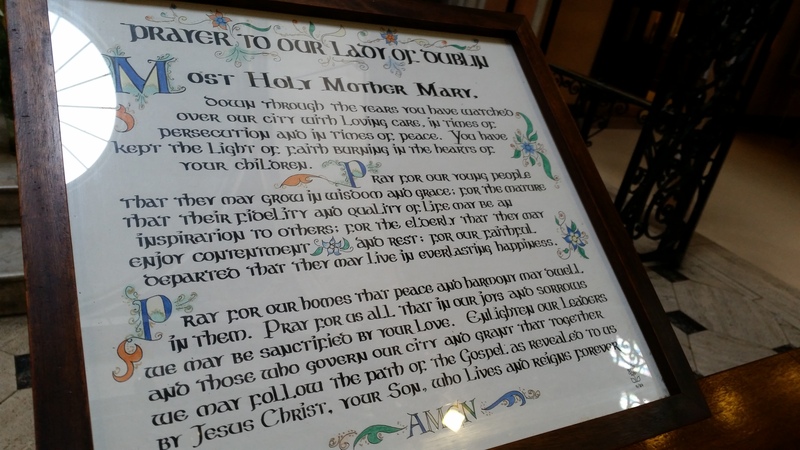 In Mary’s Lane is a parochial chapel whose jurisdiction extends from one side of Boot Lane to one side of Church Street. It is a large and irregular building. On the Epistle side of the altar stands a large image of the Blessed Virgin with Jesus in her arms, carved in wood; which statue at the dissolution belonged to St. Mary’s Abbey (MacLeod 1947, 56). The Mary’s Lane chapel no longer survives and was located at St. Michan’s House. 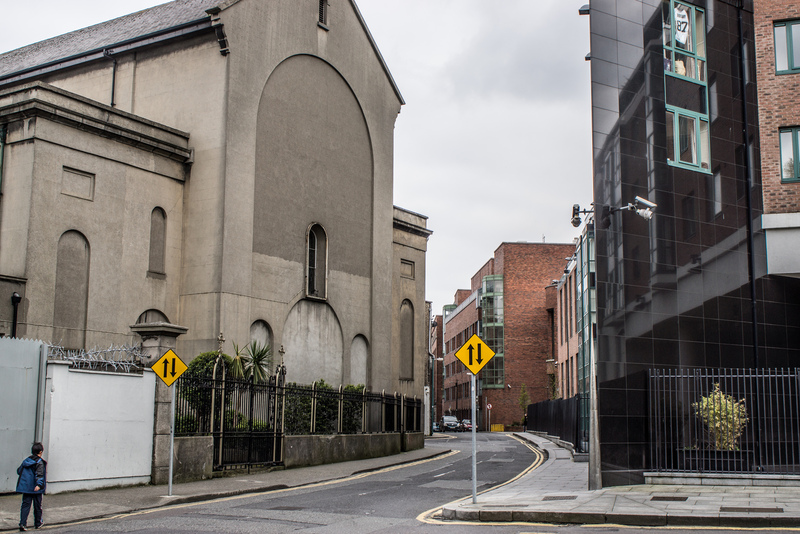 In 1816 a new church was built for St. Michan’s parish and the old chapel was converted for use as a school. The statue seems to have made its way to a second-hand shop on Capel Street. Father Spratt of Whitefriars saw the statue in the shop in 1824 and purchased it. He had the statue placed on the Epistle side of the high altar in the new Whitefriars church. In 1915 the statue was sent for cleaning and all traced of white wash and medieval paint were removed. When the statue was returned it was placed in a new elaborate marble the shrine erected in the Carmelite church. 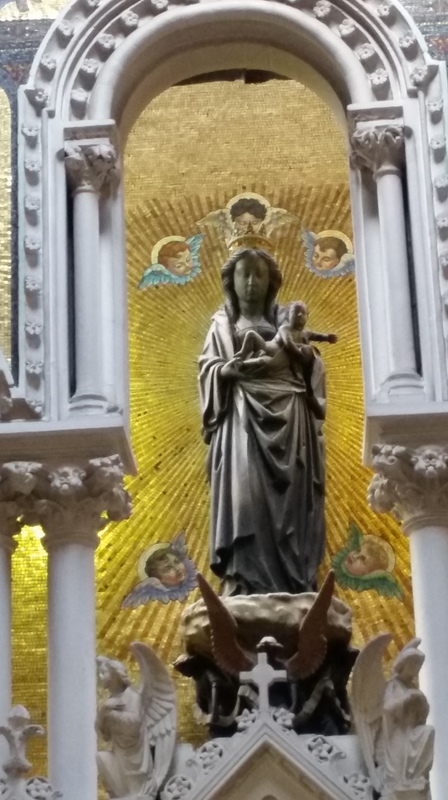 The statue is still visited today and the feast day of Our Lady of Dublin is celebrated on September 8. MacLeod, C. 1947.’Some Late Mediaeval Wood Sculptures in Ireland’. JRSAI, Vol. 77, No.1, 53-62. Pochin Mould, D. 1964. Whitefriar St. Church: A Short Guide, by Daphne.